Ina Drew, JPMorgan Chase's former chief investment officer, is on Capitol Hill Friday to make her first public comments about the London Whale losses. Levin and McCain, who led a nine-month investigation into the trades, said JPMorgan (JPM) manipulated results to mask the depth of the losses, actively shielding them from both regulators and investors in a scathing report released Thursday. Levin kicked of the hearing, calling the trading loss a "disaster" and likening JPMorgan's trading strategy to "a "runaway train." Carl Levin on $JPM: A runaway train of derivatives trading blowing through risk limits... hidden losses and regulators who failed to act." Senator Levin : Destroying $JPM risk management process. $JPM works like a WALL St. CHOP SHOP. No wonder the financial crisis occurred! Sen. Carl Levin: Apparently, JPMorgan was too busy betting on derivatives to make loans that would have sped the U.S. recovery. Throughout Levin's comments, Drew appeared to be less than pleased. McCain also railed on the bank during his opening statement. McCain asks if JPMorgan believes taxpayers will bail them out "again." That should steam Dimon, who's adamant JPM wasn't bailed out. Drew was the first among the panelists to speak. After she was sworn in, Drew began by talking about her career. Speaking softly, she said she was "proud of the amount of success we had protecting the bank." While she called her decision to resign last May "devastating," Drew also took "responsibility" for the mistakes that happened on her watch. But she added that her ability to limit risks and losses was undermined. She said that while her oversight was "reasonable and diligent," she has since learned "that valuations for many of the book's positions were inflated and not calculated or reported in good faith." Senators too busy to show up for the $JPM CIO hearing. Wouldn't want to bite the $JPM hand that feeds them. Ina Drew: "I wasn't aware we were 1000% over the limit" Ridiculous, she was paid 30MM a year to know everything to do with her business. Following a short break, former CFO Doug Braunstein and Michael Cavanaugh, the JPMorgan exuecutive who led the internal investigation of the London Whale Losses, joined the witness panel. During his questioning, Levin asked the panelists about the the daily profit and loss statements provided to the OCC as the bank's losses were adding up. He noted that a report dated mid-April to regulators showed that the trading losses were about $580 million, while an internal report revealed a $1.2 billion loss. Drew said "to the best of my knowledge, the OCC was given daily reports of the CIO's mark-to-market activities." Levin was clearly dumbfounded by her response, repeating "to the best of her knowledge." 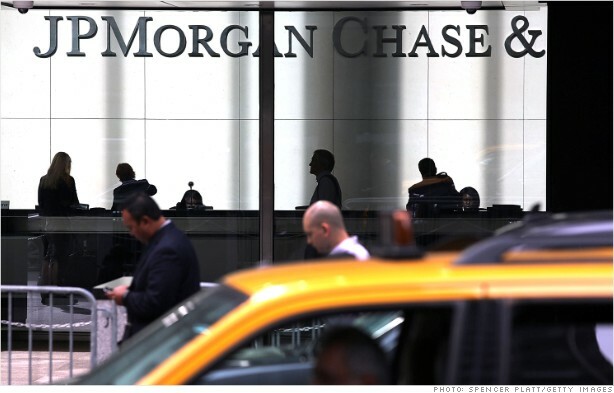 Braunstein and Cavanaugh said its was JPMorgan CEO Jamie Dimon's decision to temporarily withhold the data. Dimon testified before the Senate last June, and was not at Friday's hearing. Braunstein says Dimon ordered that no data was to go to OCC. JPMorgan coverup? Braunstein added that he does "regret" his role, and admitted that his pay in 2012 was almost cut in half. Braunstein took a 47 percent pay cut to $5 million for 2012 pay because of whale screw up he tells Sen. McCain. Levin continued to grill the witnesses, and thanked them for coming without a subpoena. This is Levin water torture for $JPM. Methodical. I'm convinced the man is wearing a catheter. And have I mentioned the chill in here?